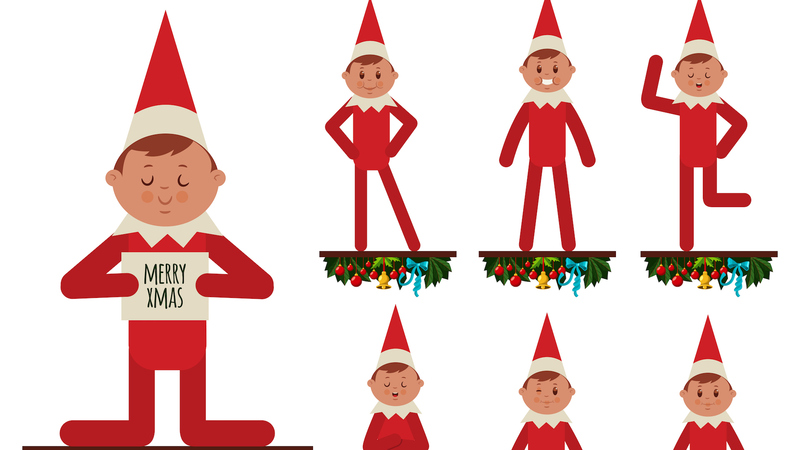 Christmas elf vector cartoon flat character set. Whether you love or hate or simply love-hate the old Elf on the Shelf, there’s no denying he seems to be the pièce de résistance of many a little-kid Christmas these days. And there’s no shortage of ideas floating around the internet for how to stage your Elf on the Shelf throughout December. But how do you give Elfie a proper send-off as the Advent season winds to a close on Christmas Eve? 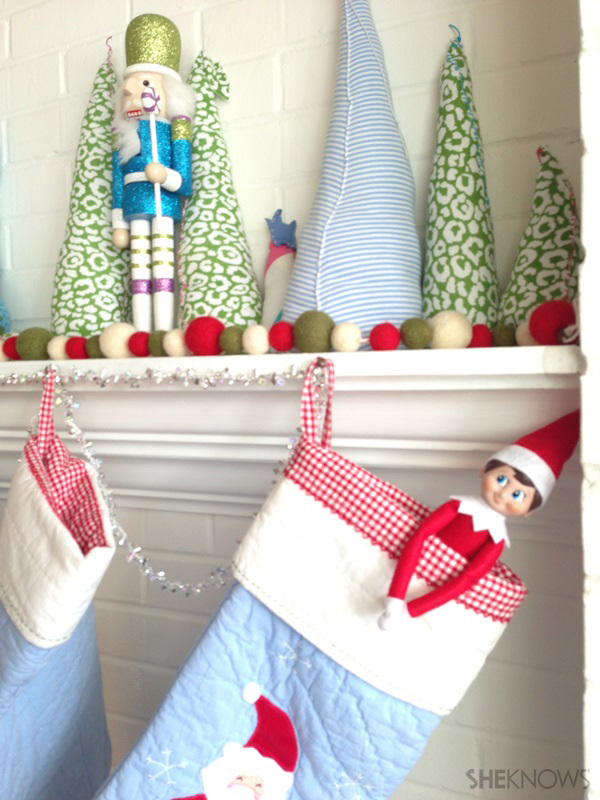 Here are a few sweet and sneaky ideas that will delight kids and bring a fun end to your elf’s festivities for the year. This is it: Christmas Eve. The big day (and night)! 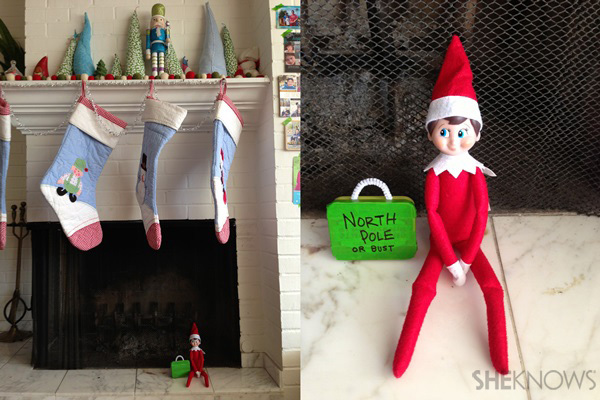 When Elf hears Santa’s bells, he’ll take his final flight of the year back to the North Pole. 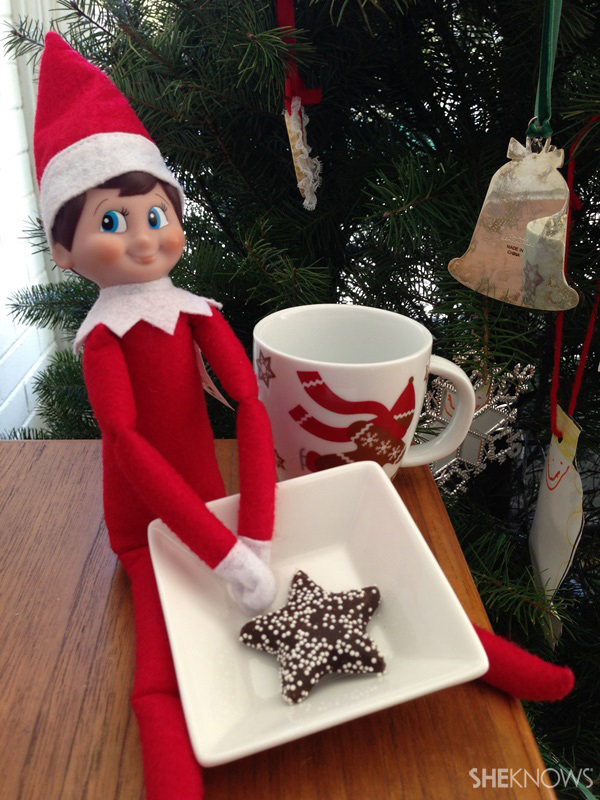 Here, Elfie is ready for the big guy’s arrival with a Christmas cookie and a mug of milk. What’s this? 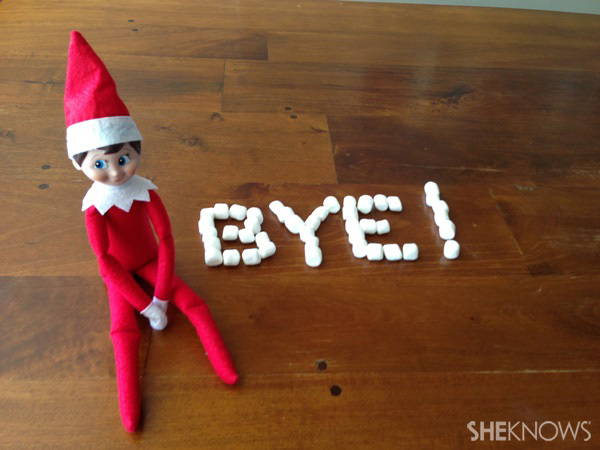 Elfie’s waiting at the breakfast table with a sweet goodbye message spelled out in marshmallows! Santa’s friendly scout is ready for takeoff. A tape-covered mint tin with a small pipe cleaner handle makes the perfect Elf-sized suitcase. How thoughtful! 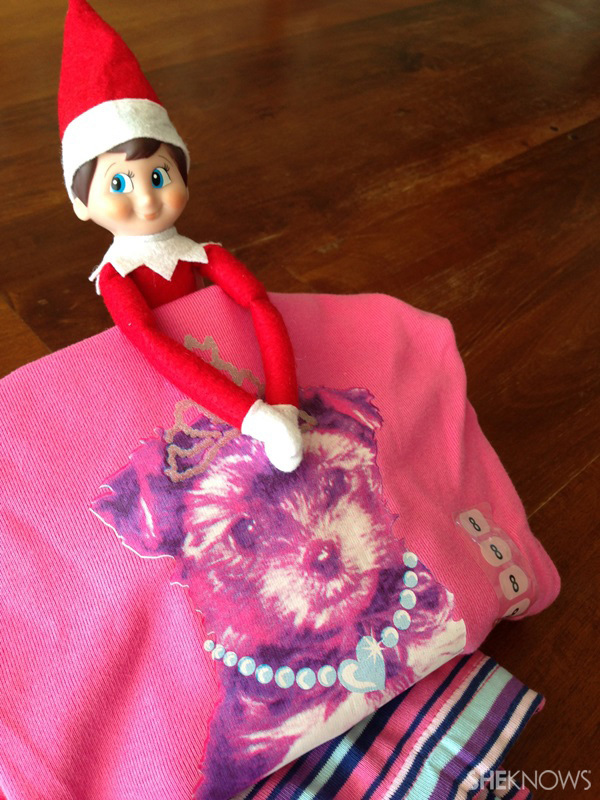 Elfie’s brought a brand-new set of holiday jammies for the kids to wear on Christmas Eve. Elfie loves to help himself to goodies from the kitchen. 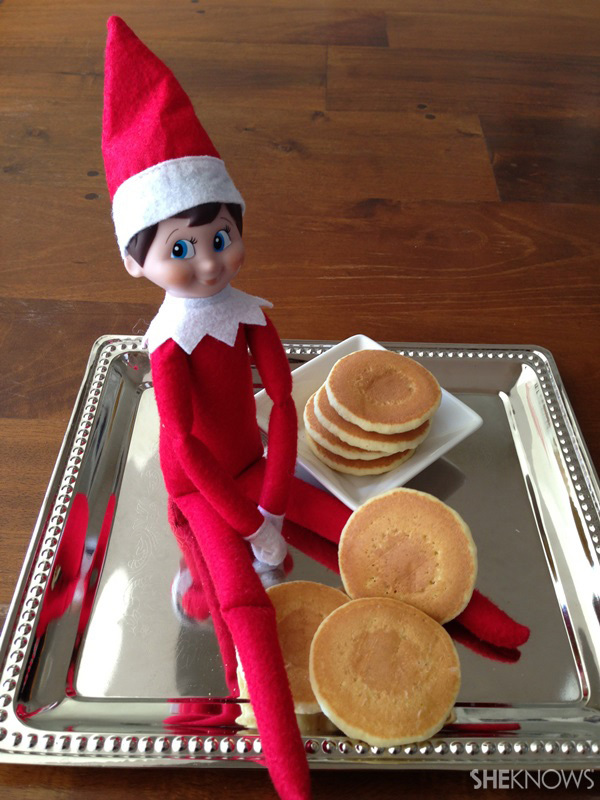 Here, he enjoys a final breakfast of pint-size pancakes. Pop your little red-clad friend in a stocking on the mantel, and he’ll be ready to roll when St. Nick comes a-calling. A version of this article was originally published in November 2015.